To use our web app, go to kids.education.com in the web browser (you can bookmark this URL for future access). Don't just scratch the surface with a single worksheet. Go in depth with printable workbooks handpicked by teachers. 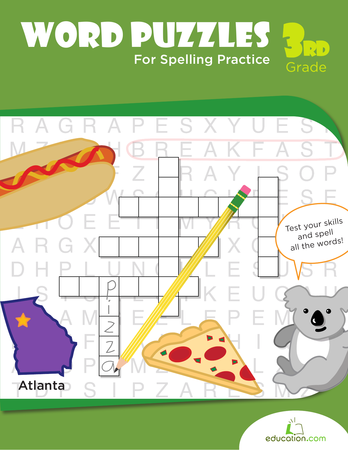 Approach spelling from another angle with this brain teasers workbook. It touches on a mix of subjects from U.S. geography to a bit of science. If you no longer have access to the email address associated with your account, contact Customer Service for help restoring access to your account.